India needs to build forex reserves to protect the economy from surge in outflows, the former RBI governor said. New Delhi: Former RBI governor Raghuram Rajan said the US Treasury should not label India as a "currency manipulator", as the country needs to build forex reserves to protect the economy from surge in outflows. Rajan, currently a professor at University of Chicago Booth School of Business, further said India runs a current account deficit, which could get larger on rise in crude oil prices in international market. He said India needs to build reserves in order to protect against outflows, as it cannot keep running to the IMF for help as a large country and also it is very difficult politically. 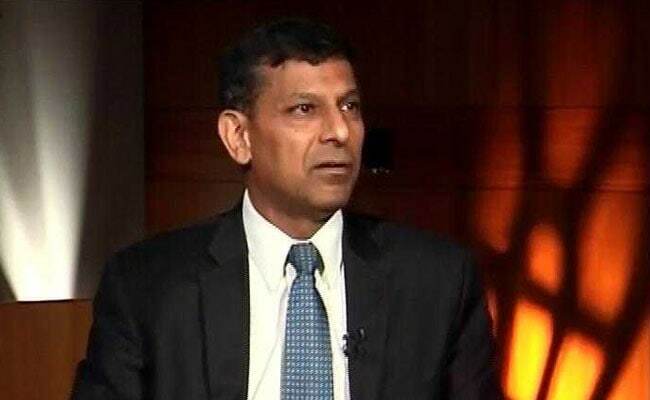 The comments by Rajan in an interview to CNBC comes days after reports that the US Treasury had said it would be monitoring India's foreign exchange reserves and economic policies. "We need our own reserves, so reserves should be seen as macroprudential tool. Its only when you are holding exchange rate at the grossly under valued level and nobody could accuse India of doing that," Rajan said. He further said that India's exchange rate is "very healthy" valued and in fact some people say it is overvalued. "So given that it's hard for me say that you look at one number, and then label the country as currency manipulator on that basis. I don't suspect the Treasury will do that. But it should not even if it is thinking about it," he said. India has foreign exchange reserves of about $400 billion. Replying to queries regarding government's announcement to infuse Rs 2.11 lakh crore, Rajan termed the move as "good news" saying it is important for banks to have capital for lending going forward. "Public sector banking system is a big part of Indian system. It is about 70 per cent. More importantly it allows them to take tough decisions, which they could not earlier because they had limited capital," he said. He further said that more needs to be done in the way of reforms over time in the banking sector and improve governance in public sector banks. "For the immediate future, it is important to clean up bank-balance sheet. The healthier the projects that are restructured, the stronger the economic growth will be," Rajan, who completed his three-year term in September 2016. Rajan said the government's decision to scrap old Rs 500/1000 notes on November 8, 2016 did effect economic activities. He, however added that GST will be positive in long run. "Looking forward, these three -- fixing the debt, the impact of demonetisation wanning, and GST -- will be growth positive for India," Rajan said.